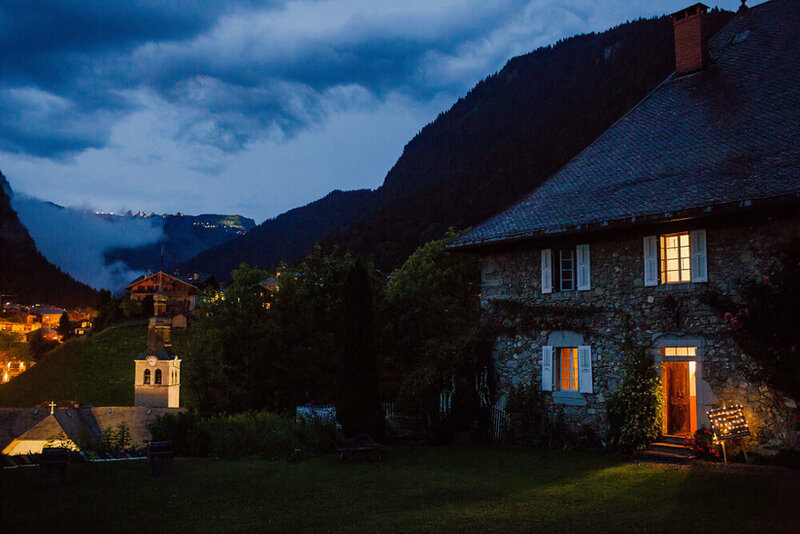 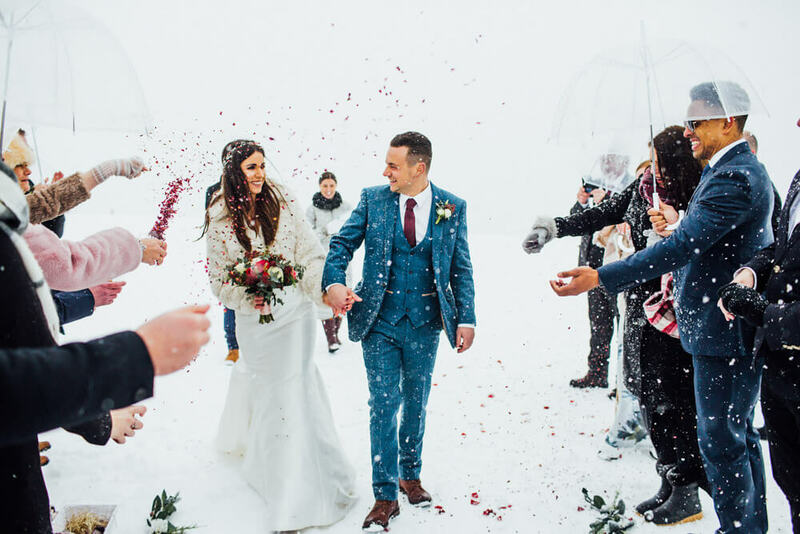 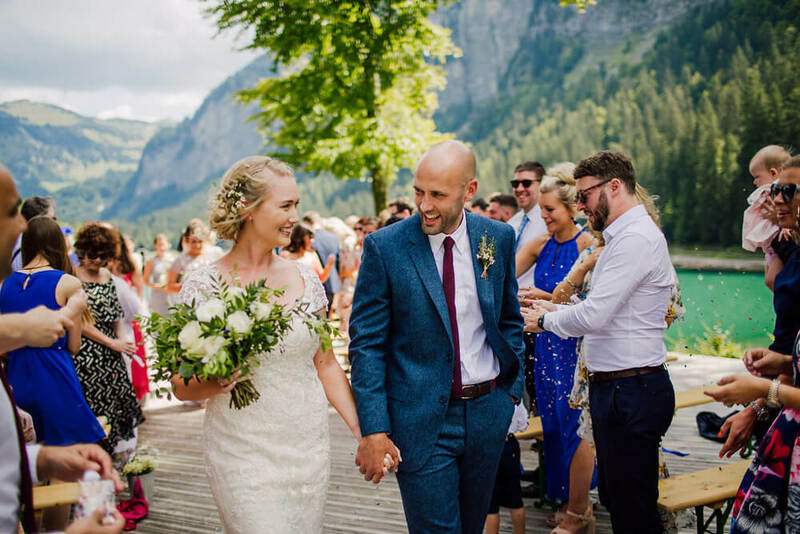 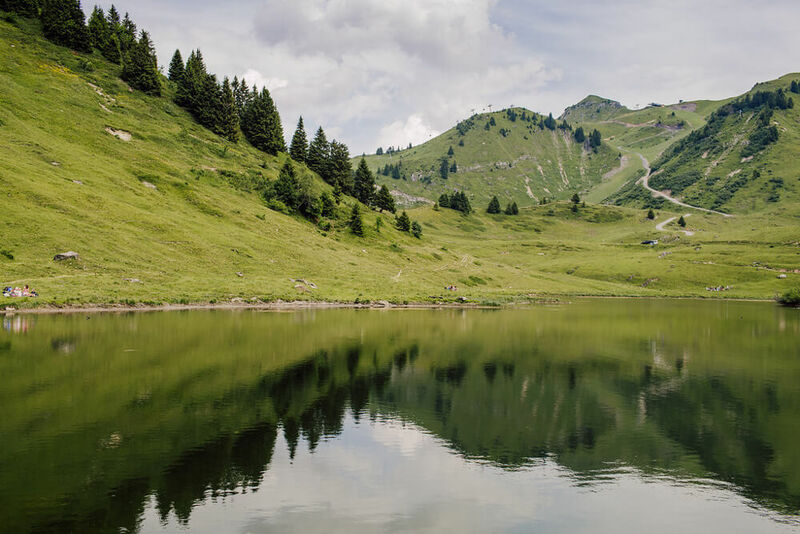 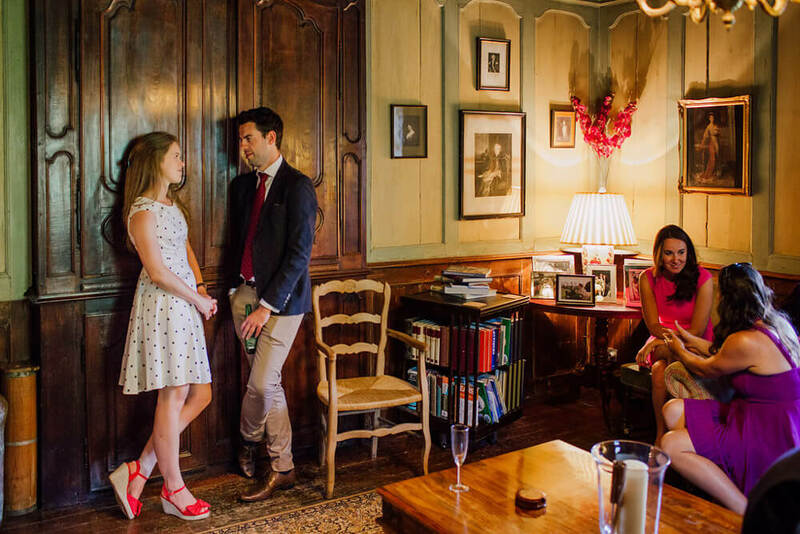 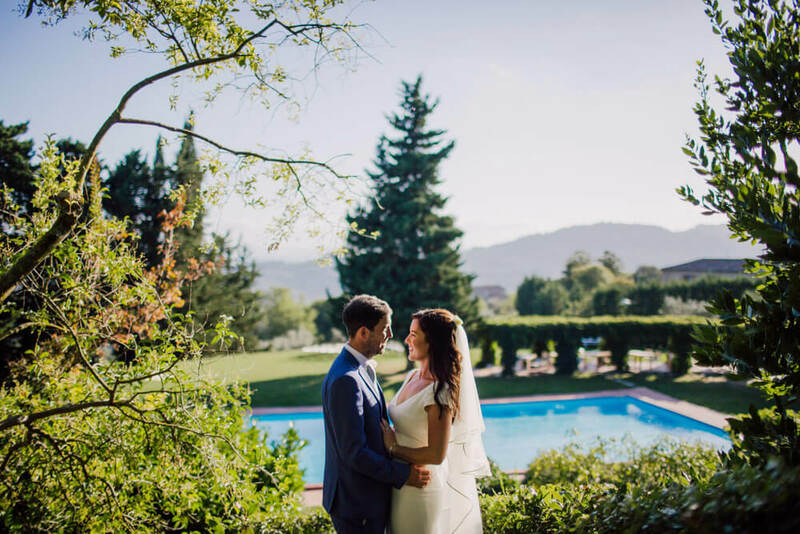 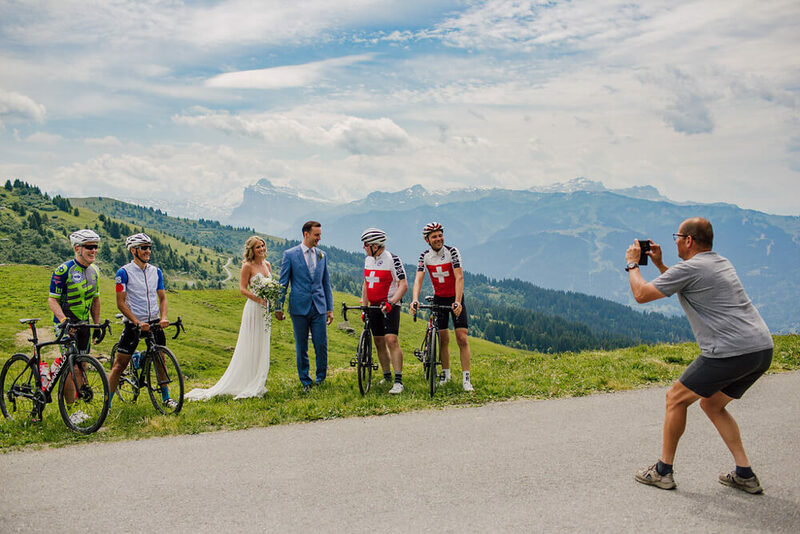 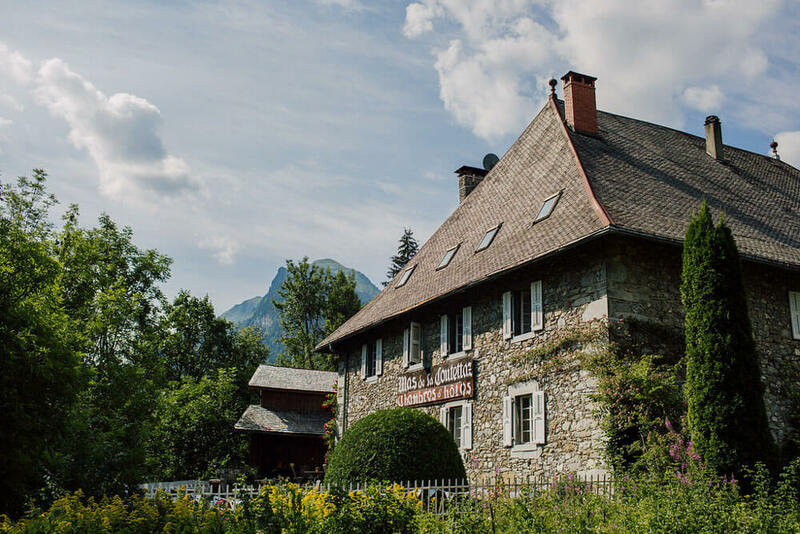 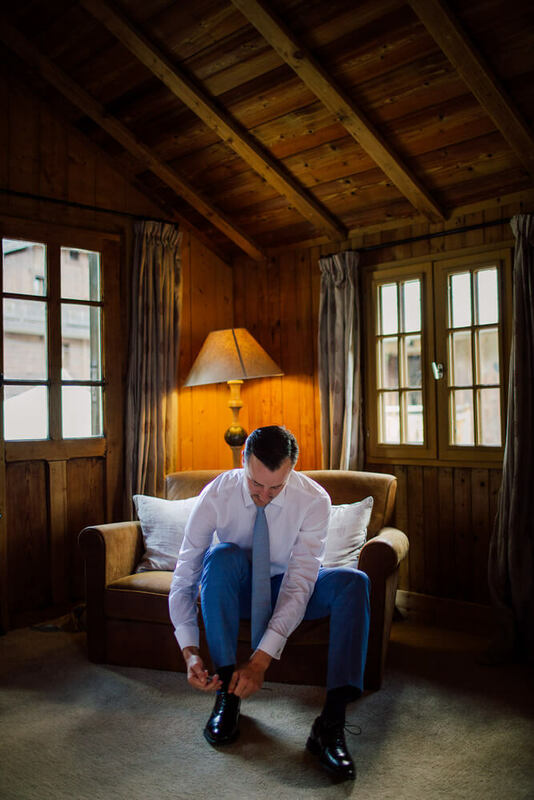 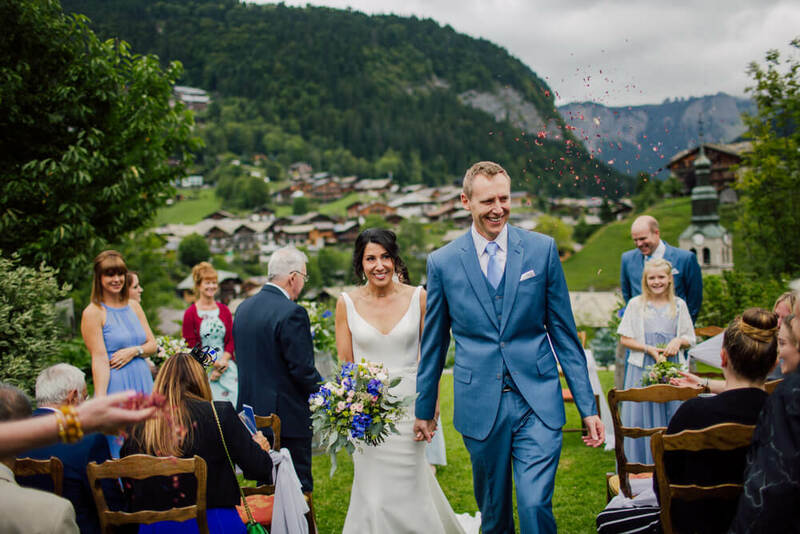 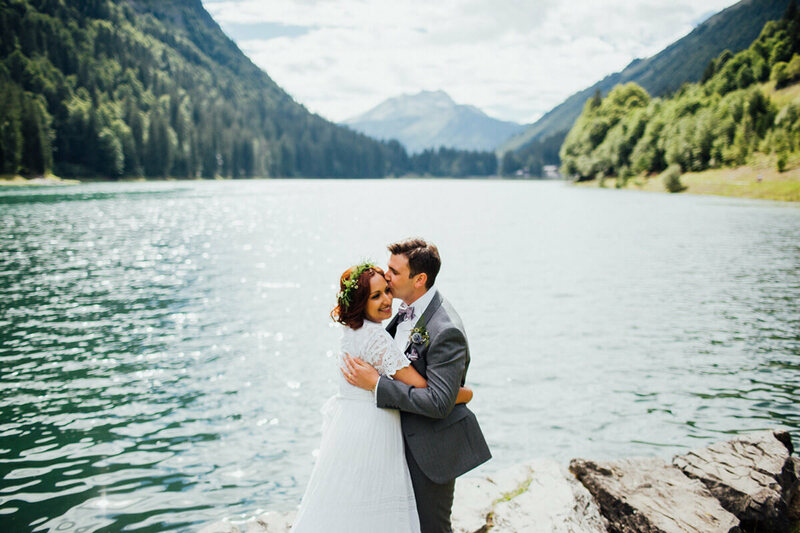 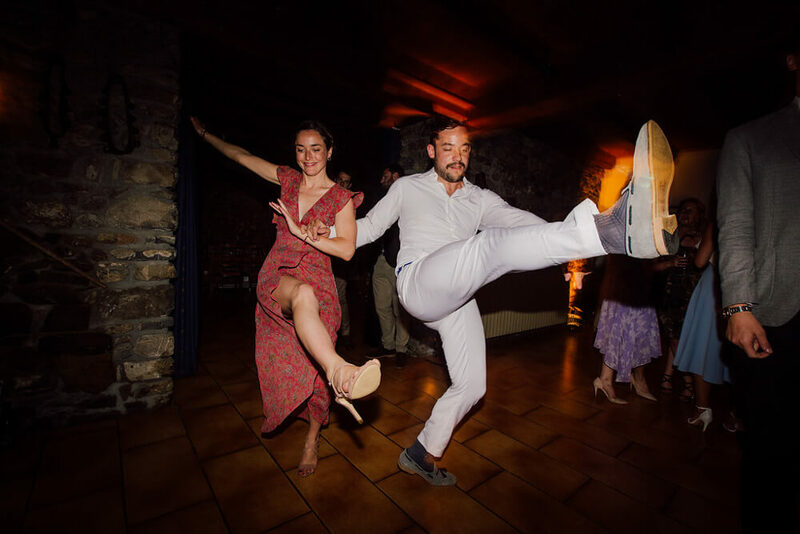 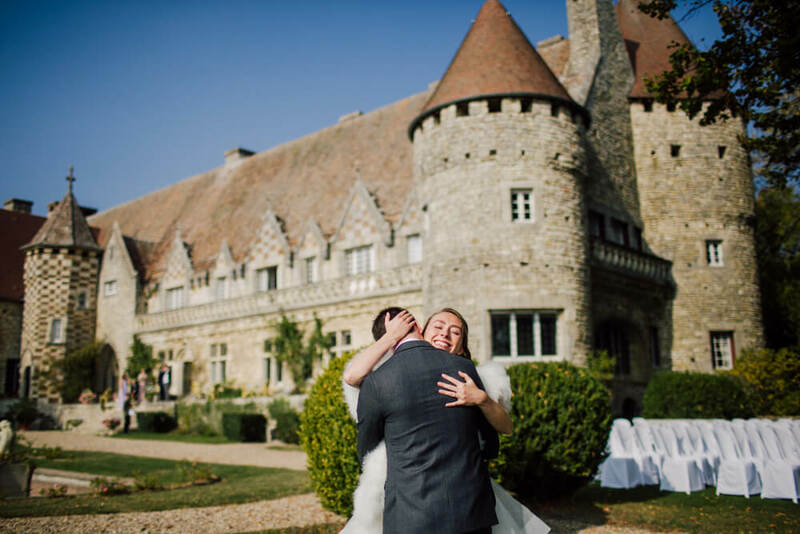 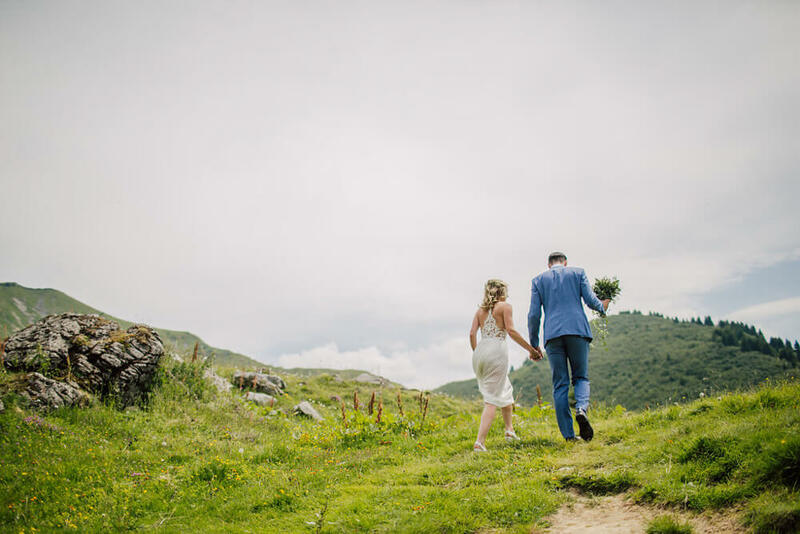 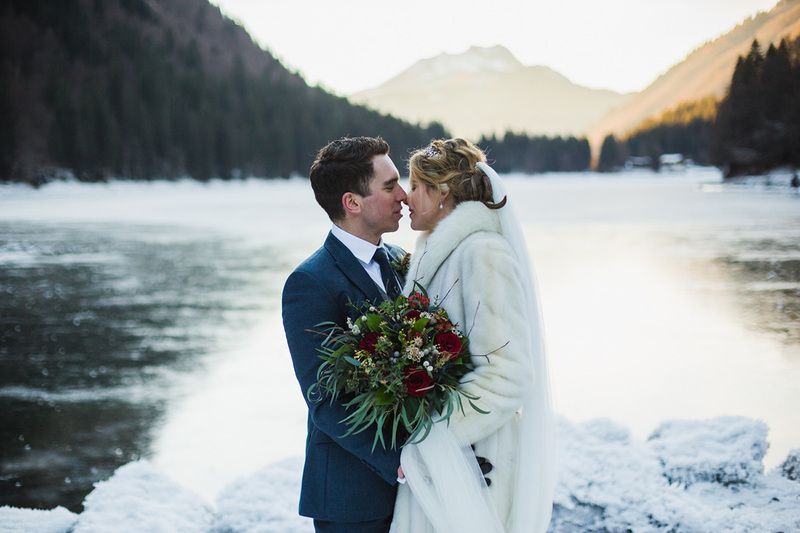 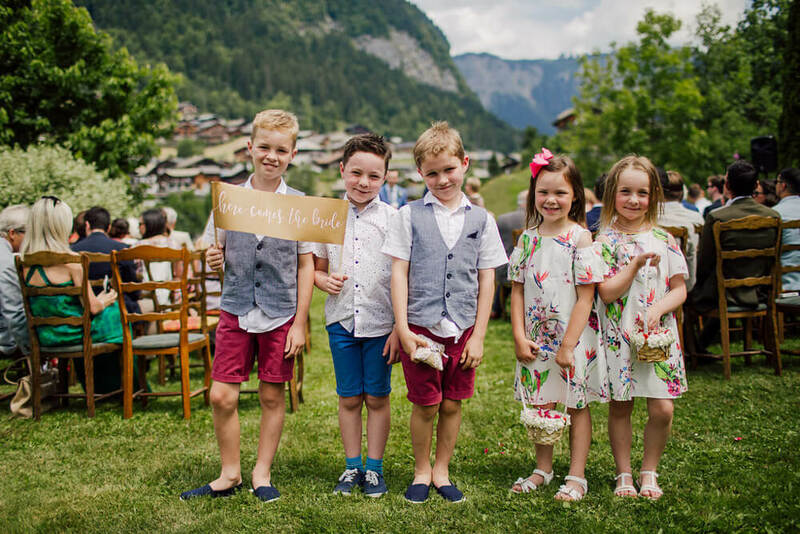 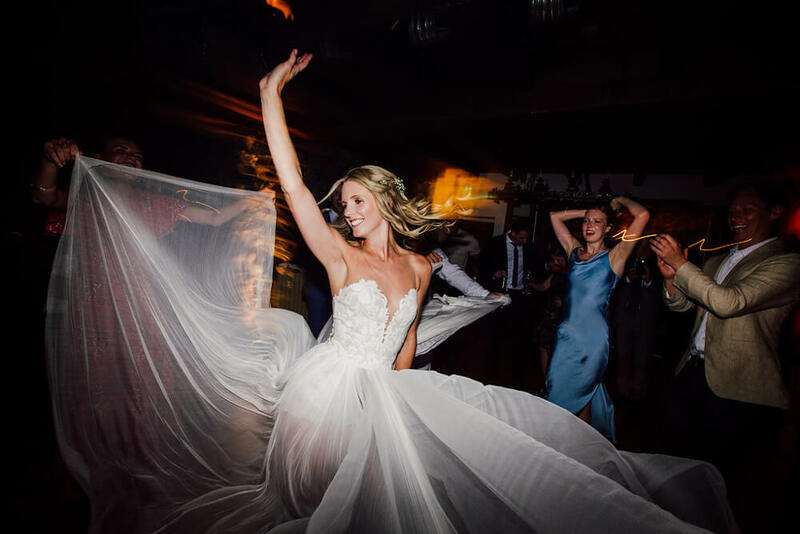 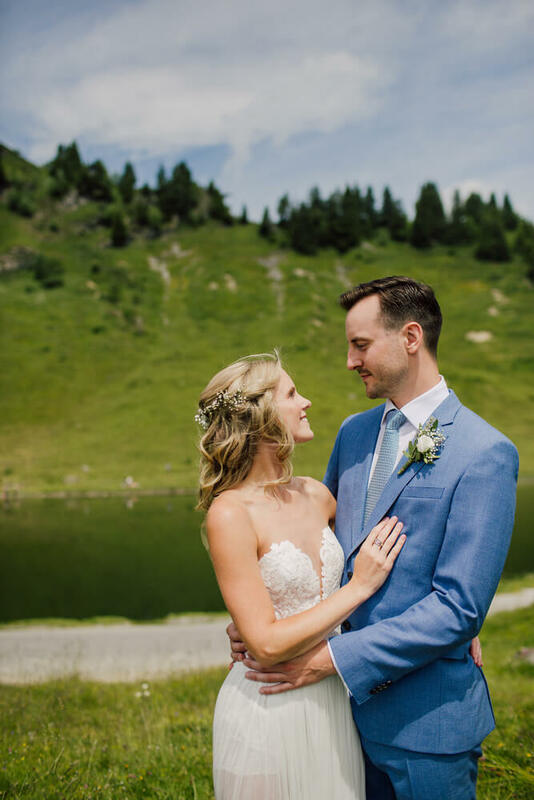 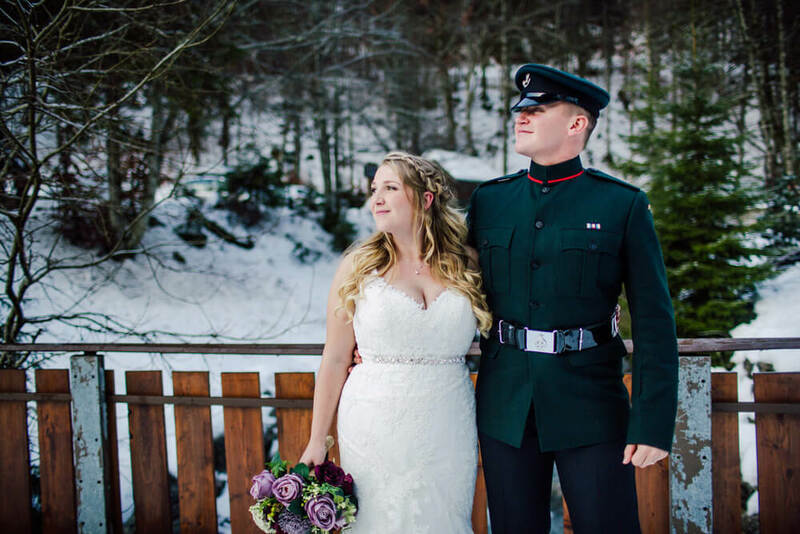 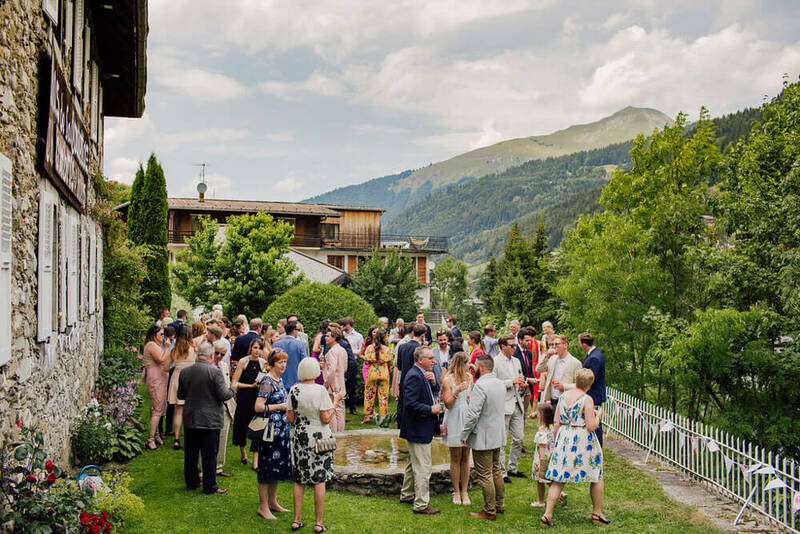 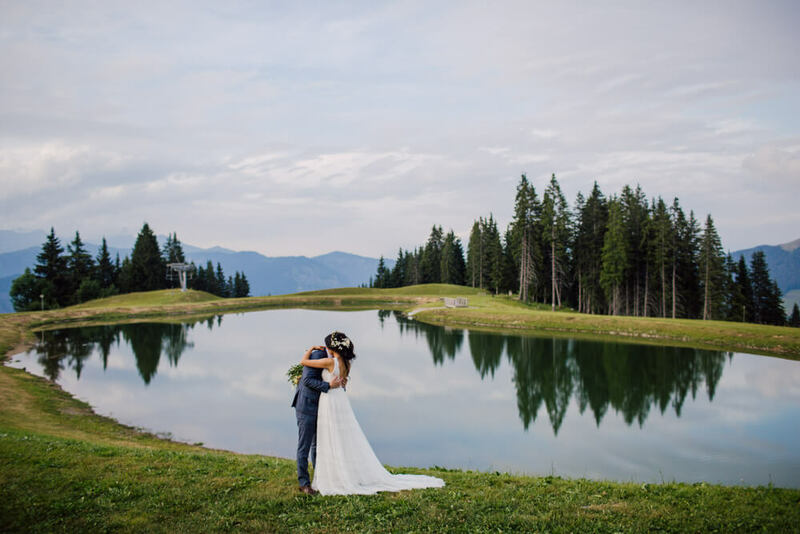 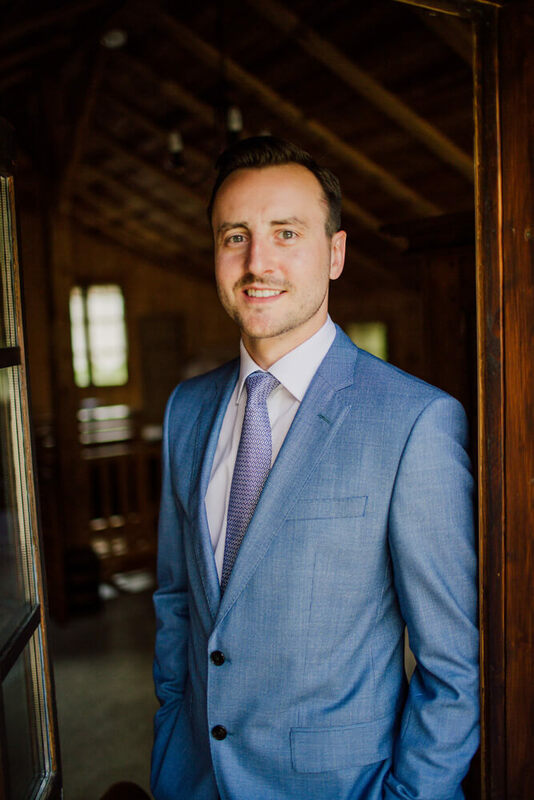 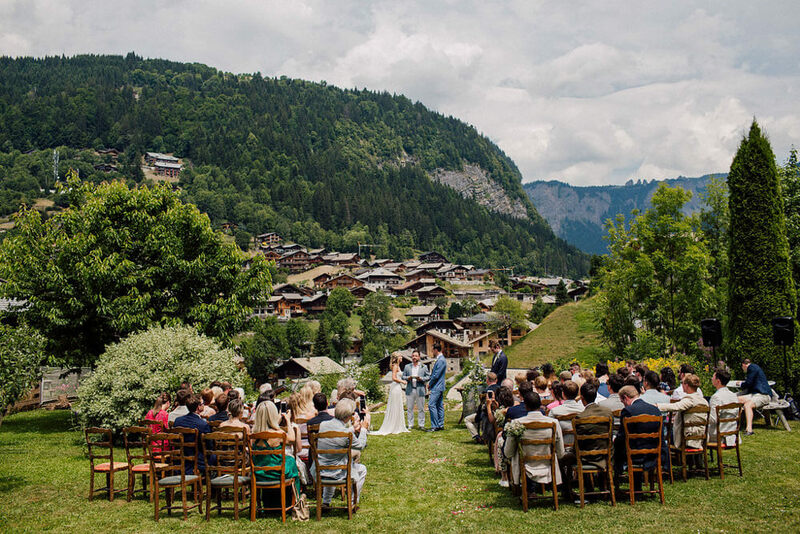 Having enjoyed many holidays together in the mountains that surround the French town of Morzine, Charlotte and Rupert knew their wedding had to take place in this stunning spot in the French Alps. 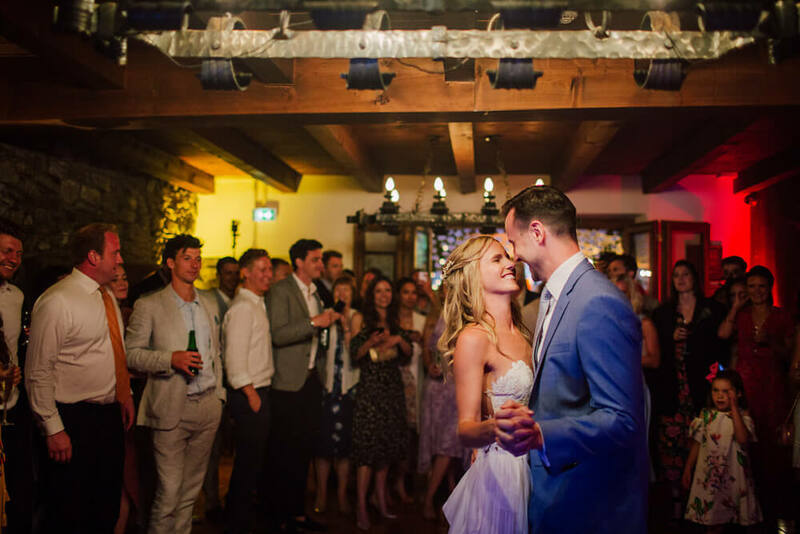 For their venue they chose The Farmhouse, an ancient manor house that was built in 1771 making it the oldest building in the town. 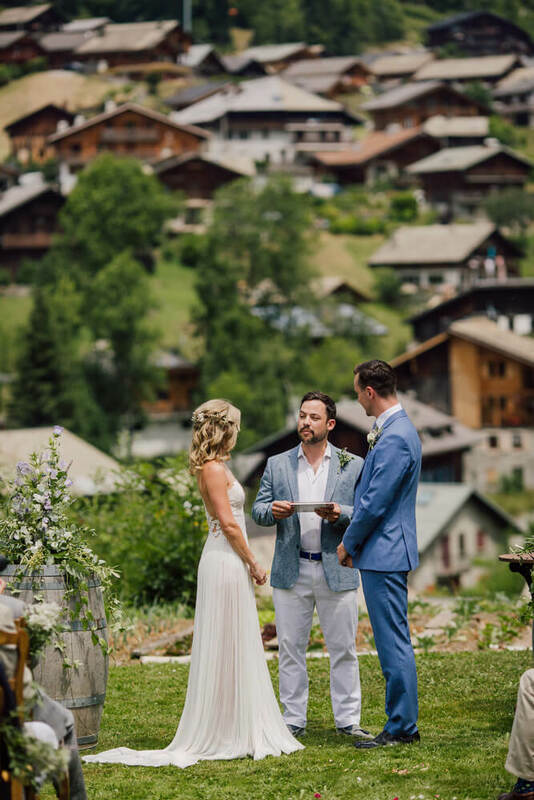 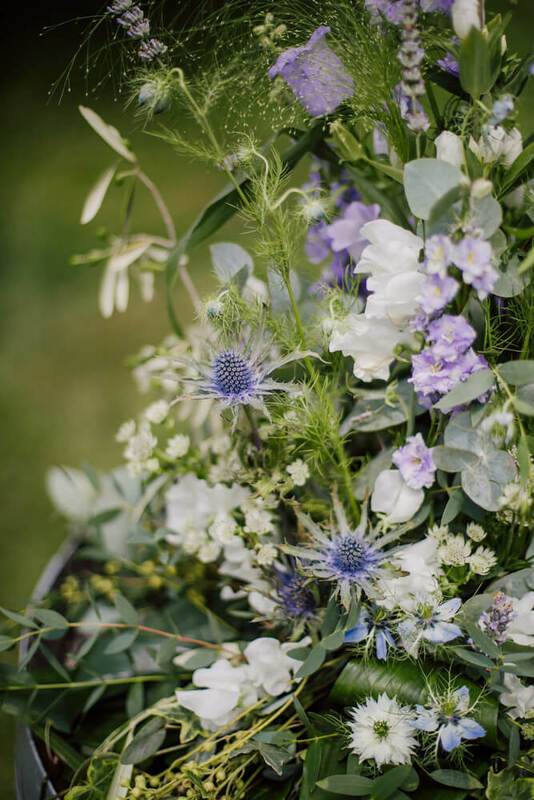 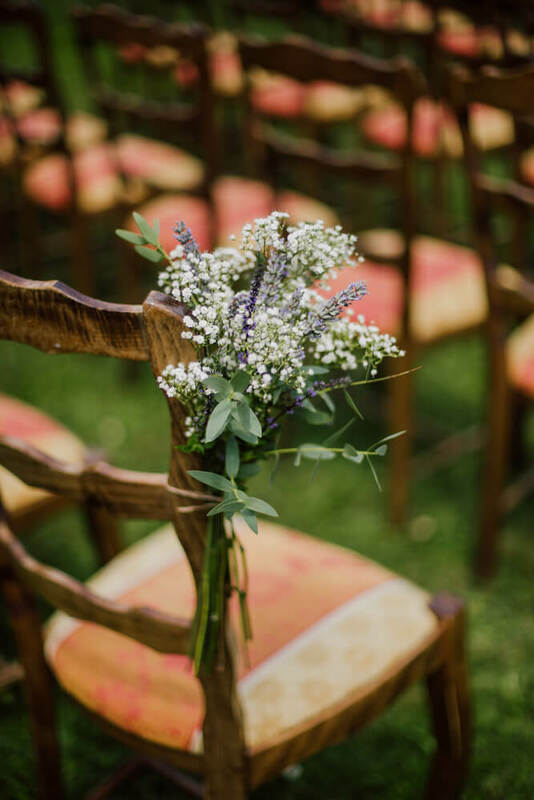 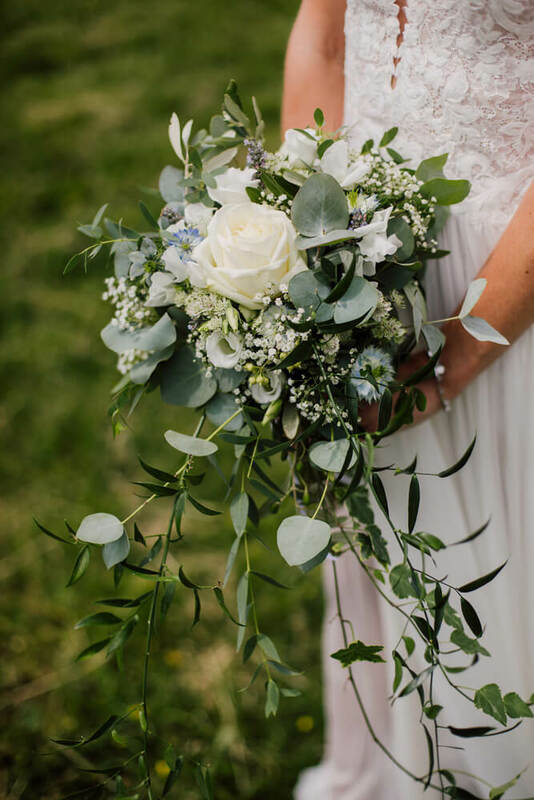 The welcoming interiors of wooden beams, slate floors and vintage furniture gave the wedding a charming rustic feel, and the quaint garden filled with colourful alpine flowers provided the perfect space for the ceremony to be set against a backdrop of mountain peaks. 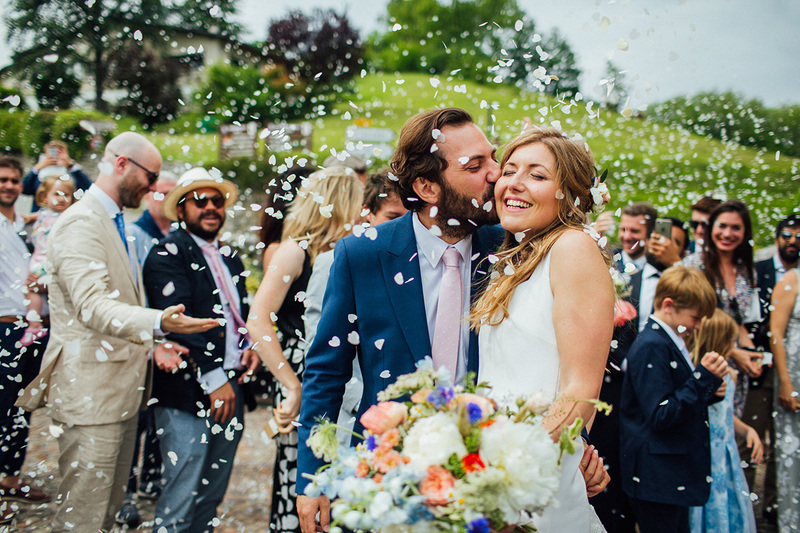 Here in a marquee the reception felt like an intimate garden party filled with the happy faces of friends and family. 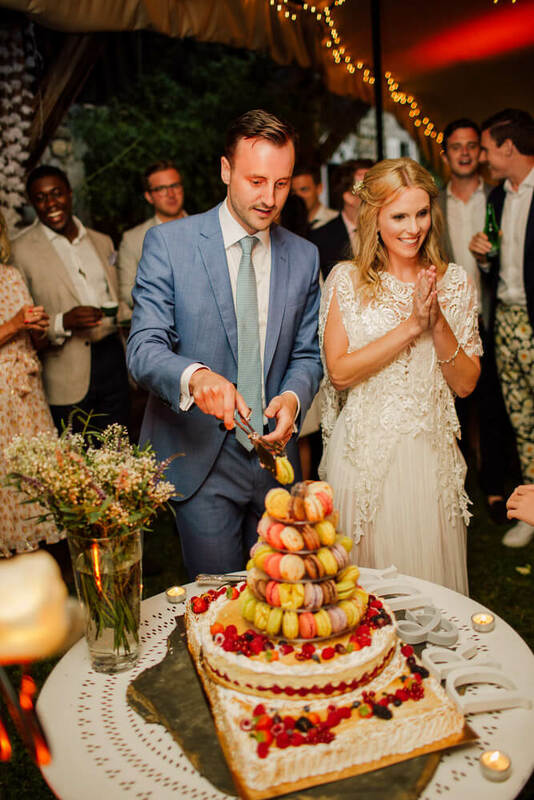 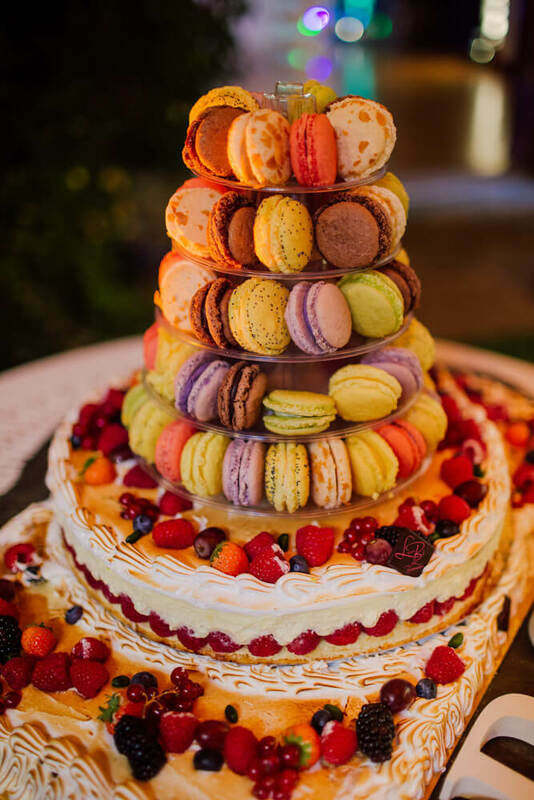 A typical French wedding cake was made of purple, pink and yellow macarons and decorated with pretty berries. 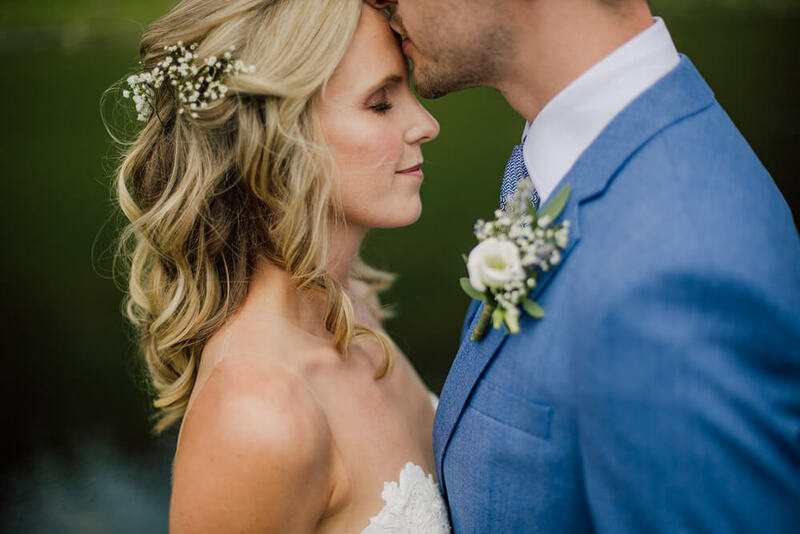 The bride looked stunning all-day in a lace-backed dress complemented by gorgeous waves and flowers in her hair. 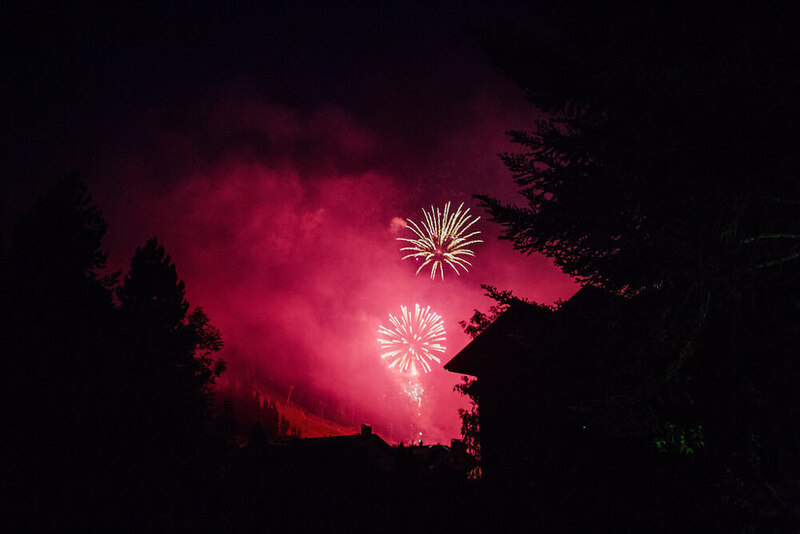 Later in the night, Bastille Day fireworks lit up the sky. 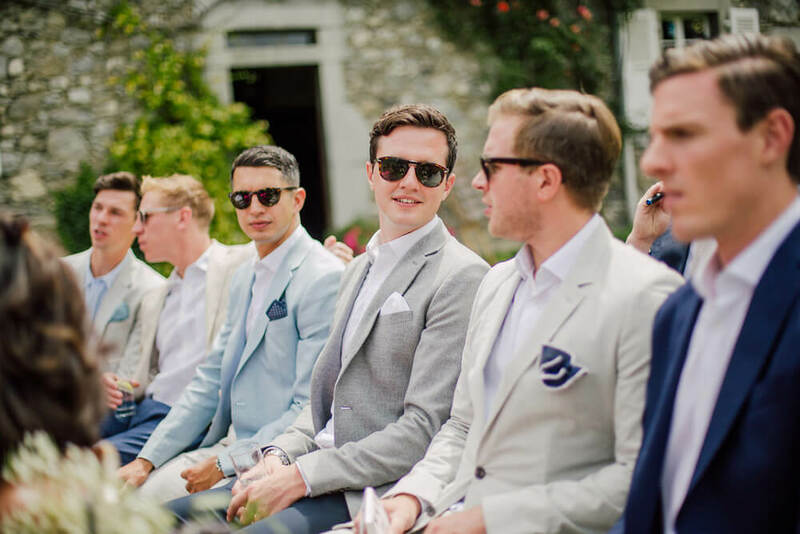 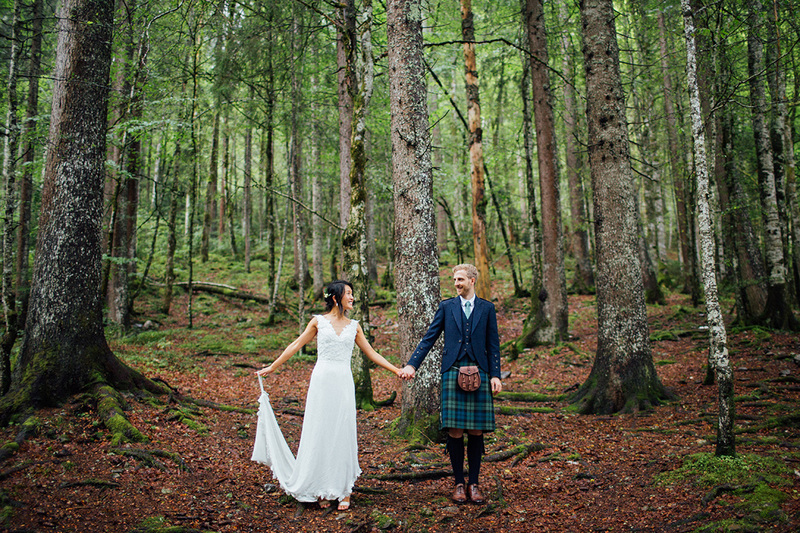 This was a truly beautiful and unpretentious wedding.